Cinco de Mayo, known as the day for eating Mexican food and drinking margaritas, (especially in the U.S.) has never been more popular. But many people are unaware what the day actually celebrates: the Mexican army’s surprise victory over Napoleon III’s French army in the Battle of Puebla on May 5, 1862. 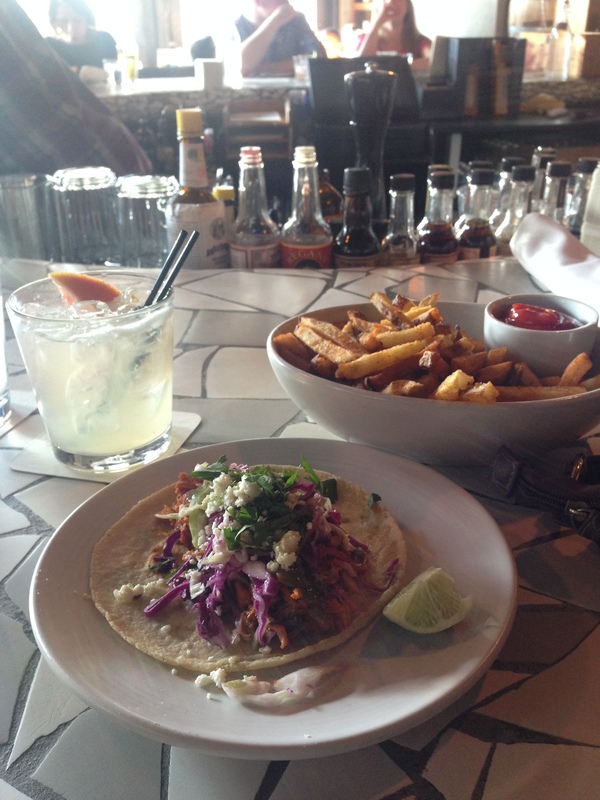 But hey, any day that calls for Mexican cuisine and margaritas-now, that’s a good day! In celebration of this holiday, it seems fitting to feature two of the best Mexican restaurants in Seattle (at least in my view!) which are located in the hip area known as Capitol Hill: Barrio Mexican Kitchen & Bar and Poquitos. Barrio, is one of the coolest restaurants in the city. Locals eat here, and so do tourists. It is upscale Mexican at its finest, with hip decor and attentive staff. The white sangria went down a treat, and the fries are a really nice quality and not greasy which is good. A lot of the menu looks great, with enchiladas, nachos and burritos being devoured by those around me as well! But the highlight of my evening was hands down the Chipotle Braised Chicken Taco, which at Happy Hour are only $3.50 each! These tacos are amazing! The best you’ll ever eat! Along with chicken, the tacos come in a good quality soft tortilla with escabeche slaw, avocado salsa and cotija cheese. It is so superb, you can’t possibly stop at one-and for the price, you don’t need to! It is safe to say, no matter what you eat here, you’ll enjoy it; making Barrio a go-to place in Seattle for Mexican food. Barrio is located at 1420 12th Ave, Seattle. Poquitos is another amazing restaurant in Seattle’s Capitol Hill area. And it’s prices are truly good value in Seattle, whether you want a big meal or a light snack. The best thing about this place is that it is truly authentic Mexican, with many ingredients sourced from Mexico. So if you can’t get down to the real thing, eating here is just as good! The decor is really nice with a black, red and white colour scheme, and hanging lights that offer a really relaxed feel as you sit. On my visit, I wasn’t overly hungry for lunch, so I chose the Grilled Quesadilla with cheese, as I was told it was quite large, without needing chicken or steak added to it. And it truly was! A delicious flour tortilla, asadero & jack cheese, served with tomato salsa & crema ; this meal right here was heaven! And so filling for $6! I still think about it. 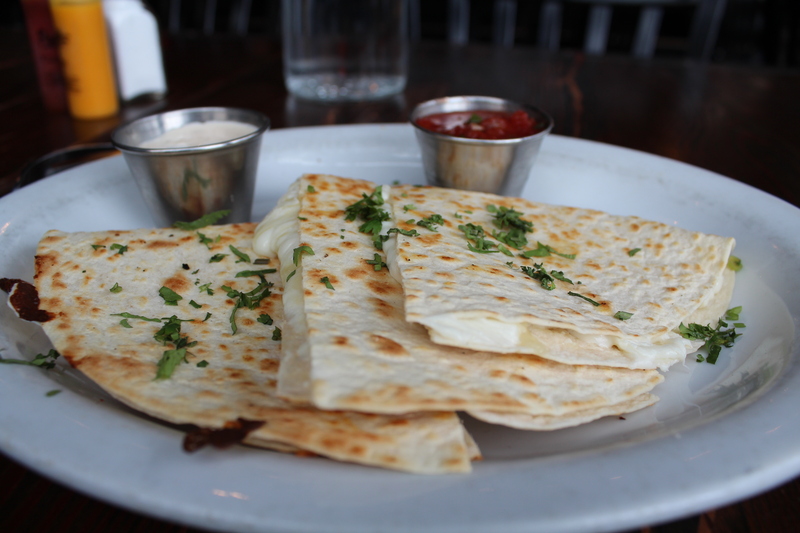 The melted cheese and the crunch of the tortilla together are to die for! After this was devoured, dessert was looking good as well, with more room in my belly than I thought I had. Wanting to try the Churros, which are always good, no matter where you are, I had to try these to see if their desserts were just as delicious. They were. 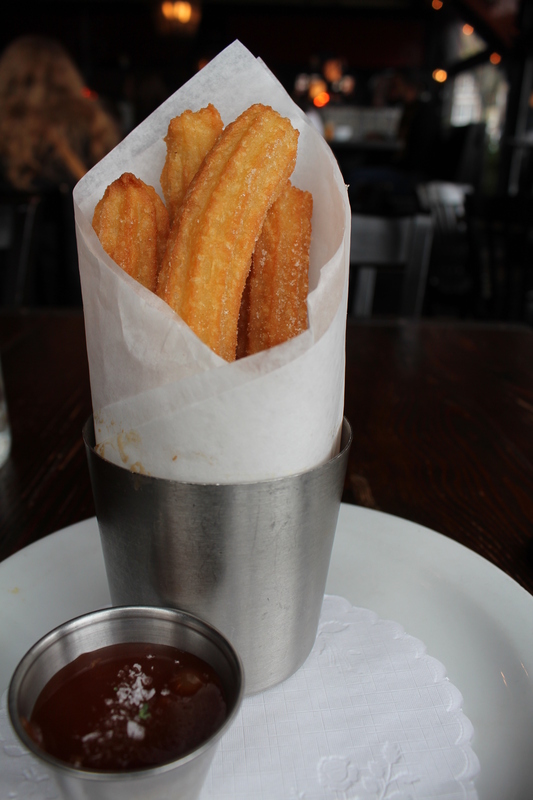 The Churros y Cajeta, are Mexican doughnuts that come with a spiced caramel dipping sauce. This was a delicious dessert! Not greasy or oily, but cooked to perfection and so crisp! The dipping sauce was a beautiful addition to it, rather than the usual chocolate options. The Churros themselves are thick, not thin like you usually get in most places. I managed to eat 3 of the 4 of them. But I wanted them all! So delicious, words cannot express it. I will definitely be back to eat these again…and try more menu options that looked HUGE and amazing! The staff are friendly and the prices are so good here, why wouldn’t you return? Poquitos is located at 1000 E. Pike St Seattle. Seattle does Mexican so well. Whether it is Cinco de Mayo, Happy Hour or just a meal out in the city, you can’t beat these two options in the Capitol Hill neighbourhood. Make sure you stop at these places if you are in town. You won’t regret it. I am already planning my trip back! Walking everywhere in Seattle, are there any areas you would suggest to be more aware in, any unsafe areas? I recently included safety in my research for my travels, being a female. It helps with planning what streets to use or avoid when walking. What area are you staying in? Near pike place? Space needle? Capitol Hill? Once I know that I can have a good idea on what to advise you on ? I’ll be staying in downtown at Hyatt at Olive 8…got a great deal on it at 40% off regular rates. It’s between Pike Place Market & Capitol Hill (between the market & the Mexican restaurants you posted). There is a monorail near my hotel that goes to Seattle Center/Space Needle, but I’d prefer walking everywhere if it is safe to do so. I think the farthest north I’ll be walking is Kerry Park, and the farthest south is International District/Chinatown. Although I would like to do more walking and exploring, I’ll have my mom and brother with me and don’t want to stretch them too thin. We will probably also take the ferry to Bainbridge Island and rent a car to go to Mt. Rainier. You can easy walk most places. I really recommend visiting Fremont if you have the time. It is where Gasworks park is on the top of Lake Union and such a beautiful view. There is also the Fremont troll not far from gasworks. You would be best taking a bus there but I really enjoyed it and the walk along Lake Union where the houseboats and what not are. Kerry park is awesome. Always go there. Merediths house from Grey’s is the next block up literally at 303 W Comstock if you’re a fan of the show. The Olympic sculpture park near the marina for the ferries is also nice to walk along. Pike place market is also great-you can even see the original Starbucks right there too. Ferry boats are awesome, I always enjoy taking those. In terms of safety as long as you are in the city areas you can’t go wrong. I walked a lot up pike and into the suburbs and I never had an issue. I just love Seattle! If I think of anything else I’ll let you know ?